George Luks, Telling Fortunes, 1914. Oil on canvas 20 x 16 in., Acquired 1922. The Phillips Collection, Washington DC. 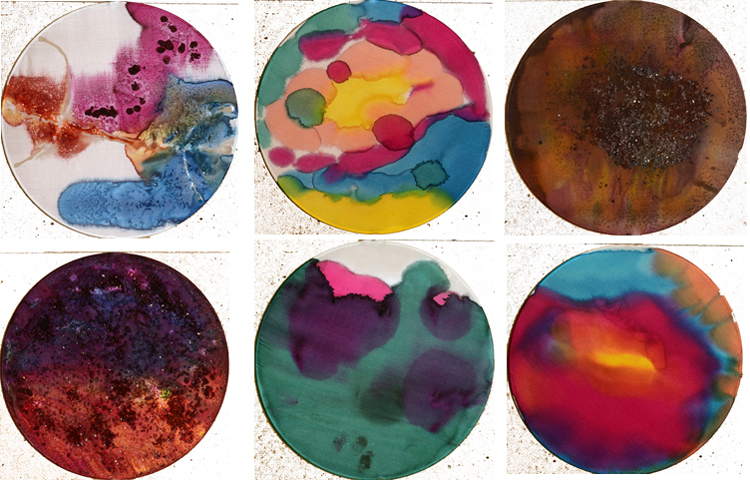 Top: (left to right) Larry, Untitled, Ink on silk; Oscar, Untitled, Ink on silk; Patricia, Untitled, Ink on silk. Bottom: (left to right) Suzanne, Untitled, Ink on silk; Theresa, In the Flow, Ink on silk; Anita, Untitled, In on silk. This video features the ongoing collaboration between The Phillips Collection and Iona Senior Services. The program encourages older adults (many of whom suffer from Alzheimer’s or related dementia), along with their families and caregivers, to make connections and access personal experiences and long-term memories through gallery conversations and hands-on art therapy. In November, the Phillips opened Art and Wellness: Creative Aging for Arts & Health Month and National Alzheimer’s Disease Awareness Month. The exhibition features over 80 artworks created as a part of the program. If you’re interested in more information about the artworks in the video or the Art and Wellness program, please contact education@phillipscollection.org.